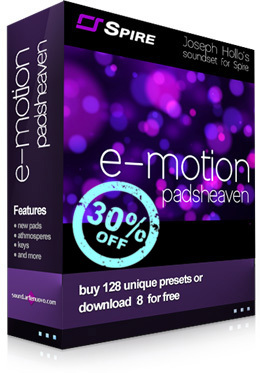 As the name suggests, e-motion is filled with 128 wonderful, emotional, evolving, from deep & warm to icy thin, out of the box production ready pads. Includes more additional sounds, such as a variety of really useful keys, bass and lead, plucked instruments and drum sounds. By exploring the Spire engine you'll find many re-created synth classics beside the brand-new ideas. 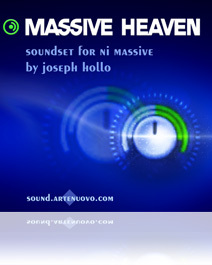 Joseph Hollo's name guarantees the exeptional quality and usability. Most of the patches are multidimensional, highly transformable by controllers like Mw, Pitchbend, Aftertouch, Breath and Expression. 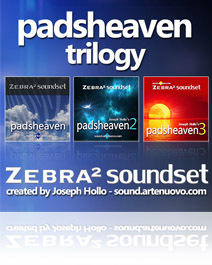 If you would like to try it, start with downloading the 8 free patches! 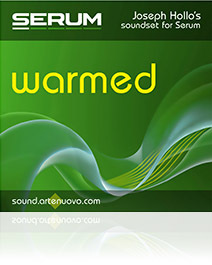 Copyright © 2015 Arte Nuovo Sound • All rights reserved • Designed by Arte Nuovo • Sponsored by Lacisz royalty free music • click here for quality stock music using these sounds!